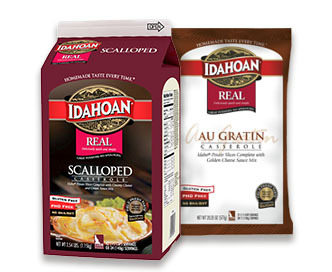 Idahoan® Scalloped potatoes provide a rich, creamy accompaniment to any meal. 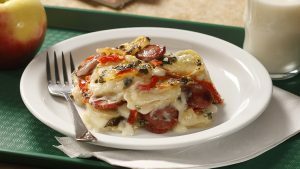 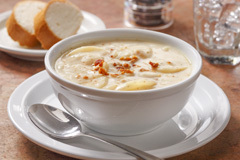 Pre-packaged with creamy cheese and onion sauce, preparation is incredibly easy. 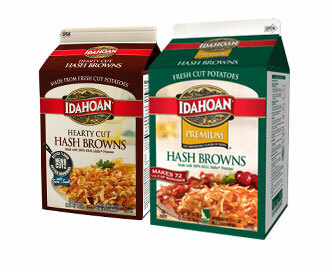 Your staff will create delicious, golden-brown casseroles within minutes. 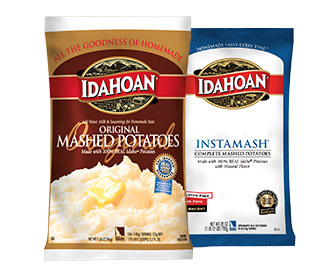 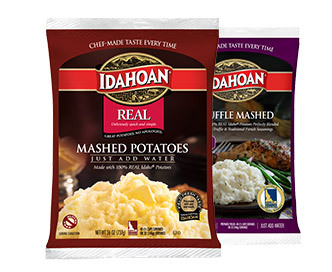 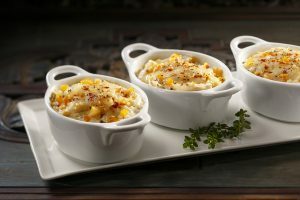 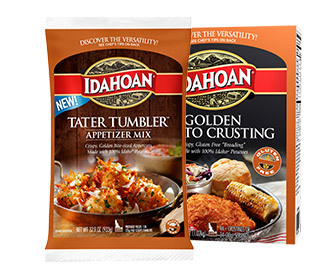 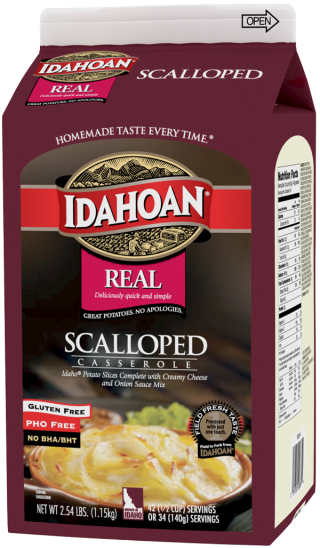 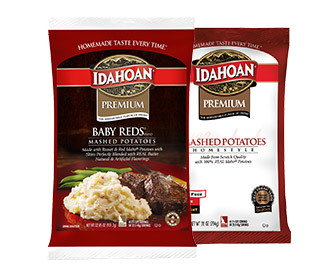 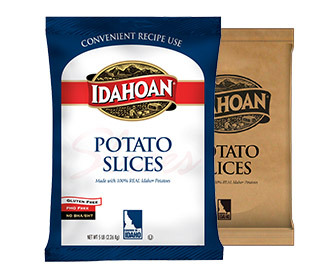 Idahoan Scalloped Potato Casserole is made from sliced dehydrated potatoes cut from 100% Idaho® potatoes and a creamy sauce mix. 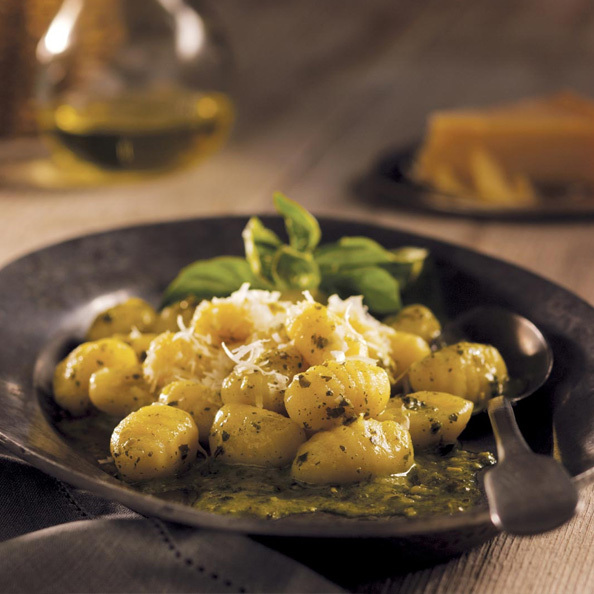 Add boiling water, margarine or butter (if desired) into steam table pan according to the servings chart below. 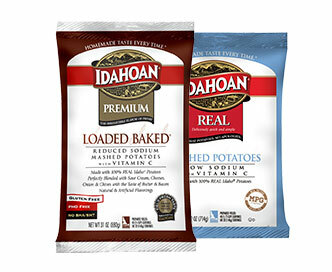 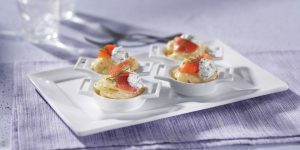 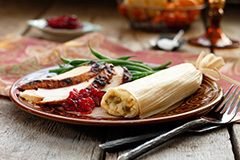 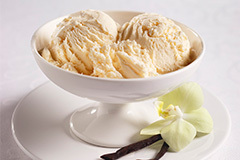 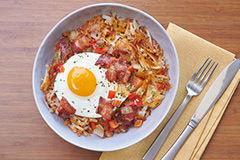 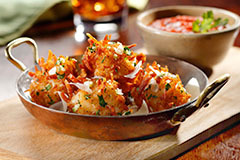 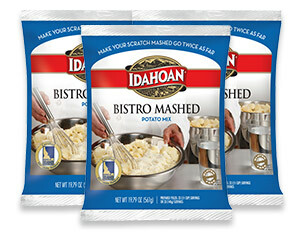 Idaho® potatoes (preserved with sodium bisulfite), modified food starch, whey powder, dehydrated onion, butter powder, (maltodextrin, butter [cream,salt], nonfat dry milk, buttermilk, salt, canola oil, sour cream [cultured cream, nonfat dry milk], disodium phosphate, natural and artificial flavors, lactic acid, citric acid), corn syrup solids, salt, coconut oil and/or palm oil, partially hydrogenated oil (contains one or more of the following: canola, cottonseed, soybean, sunflower), nonfat dry milk, cheddar cheese blend (reduced lactose whey, whey, partially hydrogenated soybean oil, maltodextrin, cheese [cheddar and blue (milk, salt, cheese cultures, enzymes)], salt, disodium phosphate, autolyzed yeast extract, citric acid, lactic acid, natural flavors), corn starch, sugar, sodium bicarbonate, sodium caseinate, natural flavors, soy lecithin, spices, mono and diglycerides, dipotassium phosphate, xanthan gum, citric acid, maltodextrin, annatto extract, turmeric extract and less than 2% silicon dioxide added as an anti-caking agent.